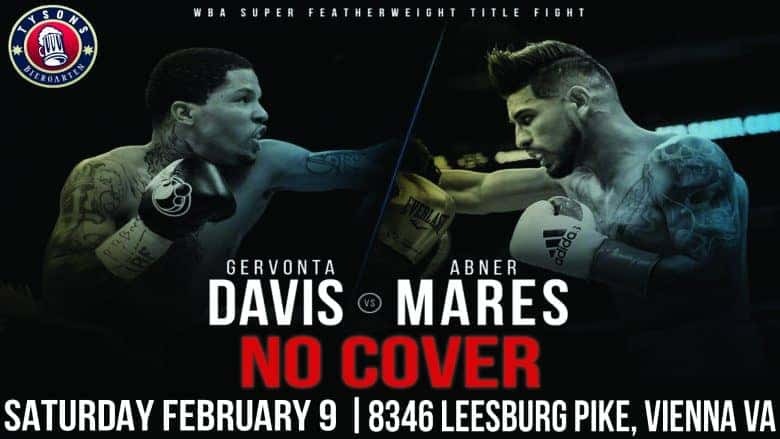 Watch two-time Super Featherweight World Champion Gervonta “Tank’’ Davis defend his WBA 130-pound title against three-division titleholder Abner Mares live at TBG with NO COVER! Register here for free on Eventbrite to join us. 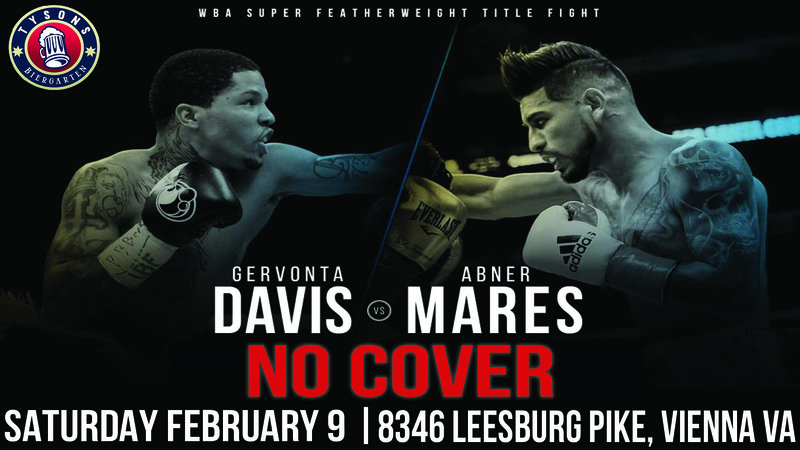 Get more information on our Facebook page here! We recommend you get here at 7pm! « 20% Corporate Happy Hours in January & February!